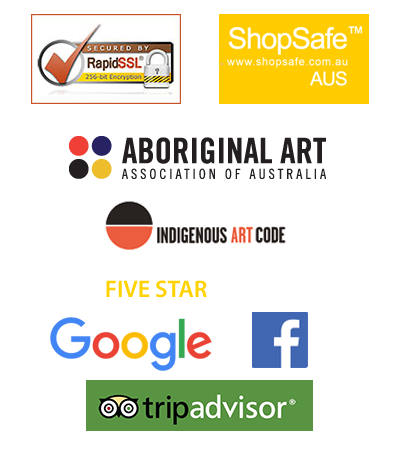 There is a vast difference between Aboriginal Paintings produced from ochre as compared to the modern medium form of acrylic paints. Ochre is the traditional medium used by Aboriginals dating back 60,000 years. Today there are some rock paintings still quite recognisable from at least 40 to 50,000 years ago so the ochre has incredible longevity. Ochre used in Aboriginal paintings were usually dug or mined from places with a kind of soft colourful stone which is completely natural. There are a variety of colours that can be extracted and then mixed with other pigments to produce other colours/hues much like the way we mix acrylic colours to form other pigments. Expert artists mix the ochres to create colours that range from reds, varying shades of brown, greys, sandy yellows, soft pinks, whites, purples and greens. Ochre has a much thicker and sometimes rougher texture than acrylic paint. Aboriginals used it when painting on rocks and in caves and applied to their body for cultural ceremonies. 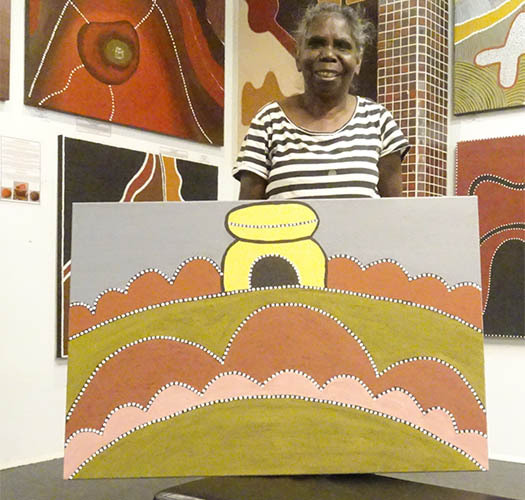 Because of the thick and crusty texture of ochre, Aboriginal paintings created with this medium cannot be rolled like acrylic artworks and must remain stretched as the ochre can crack if rolled. However, ochre paint is extremely durable and long lasting. It is a very difficult process to mix ochre but when done well it makes a massive difference to the finished painting. It is considered a very skilful process. Indigenous Australians mix ochres with various natural gum resins or with animal derived oils/fats (from animals such as emus and kangaroos) to bind, retain the colour and preserve their ochre paints. In contrast western manufacturers use acrylic compounds, vegetable oils (such as linseed), and gum-based water solutions to achieve the same result. 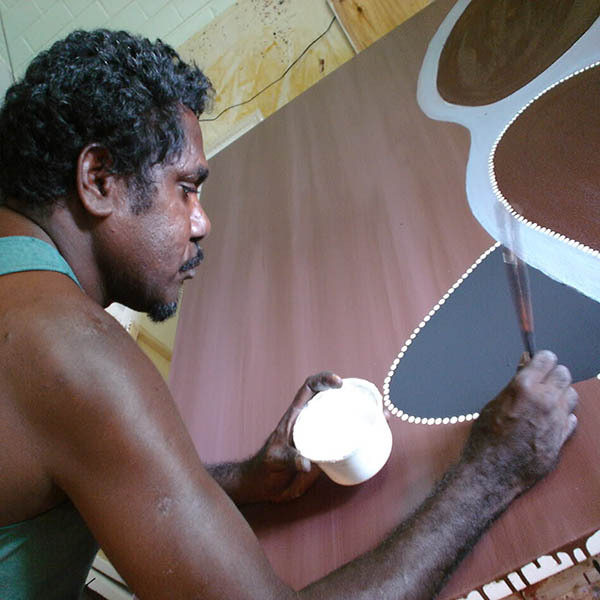 You will find that most paintings from the Kimberley area of Western Australia are usually, traditionally painted in ochre. Anyone who appreciates the effort and dedication needed to paint with Ochre have an admiration of the artworks created this way. It is certainly not an easy medium to produce and work with. Despite the difficulty in handling and transporting ochre paintings, the reduced palette they provide, they possess a soft, earthy quality which is unique and very attractive. That is why they are still the preferred medium of many Indigenous artists. The introduction of acrylic paints on canvas from the Western Desert, have only been practised since the early 1970’s and became more popular in the 1980s and dominate to this day. 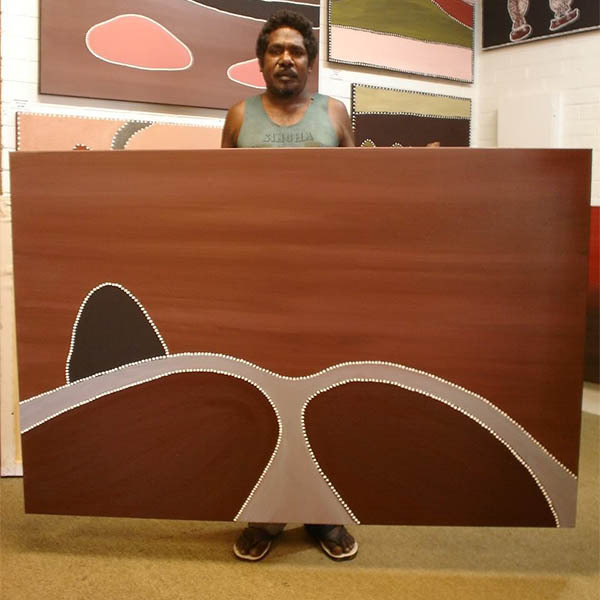 The Indigenous Papunya Art Movement around 1971 saw the introduction of acrylics or synthetic polymers. Suddenly there was a huge range of easy to use colours available to artists. 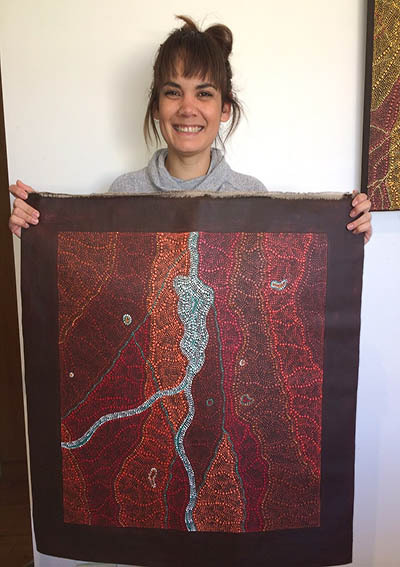 Artists have integrated new exciting techniques, materials and methods to produce Indigenous art, just like any other evolving contemporary art. 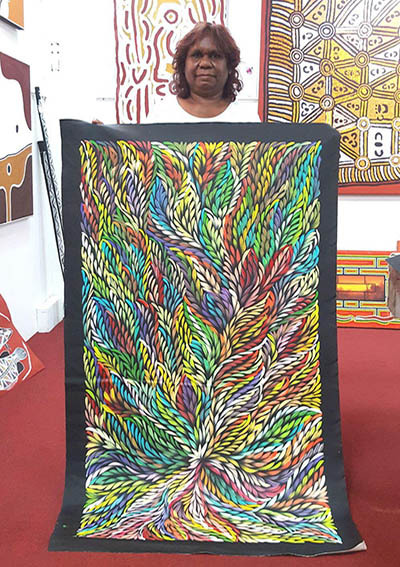 The use of acrylics has enabled an incredible capacity to blend the ancient with the new to produce artworks that tells their ancestor’s history in a contemporary style. Aboriginal Australians are the longest ongoing culture in the world, unlike the many extinct civilizations such as the Incas, Mayans, Aztecs or Romans. The Aboriginal culture is consistently growing and evolving. 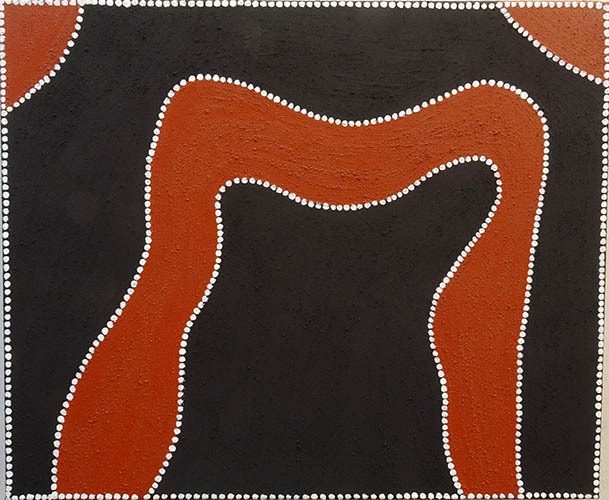 Just as art from the Western world goes through its own distinct movements so does Australian Aboriginal art. 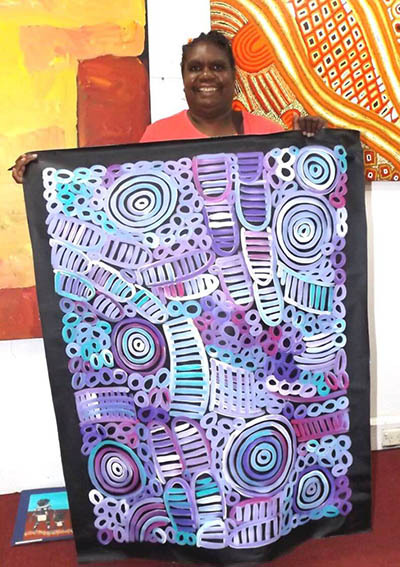 Aboriginal Art will continue to evolve with new exciting styles and forms using modern mediums to tell ancient stories in a contemporary form. The introduction of the use of acrylics has made painting for artists easier and given far more colour, variation and enthusiasm to the industry. You don’t have to mix them with a binder to make them adhere to a board, artefact or the cave wall. They are simpler to use. Having said that many artists still stay with the traditional, original ochre method whilst others use acrylics. It is purely a personal choice to both the Artist and the client. Both mediums have their own charm and attraction.